HTC is pulling out all the stops to entice users to take a long, hard look at their upcoming One smartphone including a special new feature inside their Sync software geared specifically toward iPhone customers. When the One hits store shelves in March, HTC will unveil a new version of its Sync Manager which includes the option to transfer photos, calendar entries, text messages, videos and more from iPhone backup files. For the moment, it’s not clear if the new Sync manager will work on both Mac and PC platforms however, earlier versions of the software have worked on both. The feature will make switching from the iPhone to the One just a little easier for those on Apple’s smartphone. The data itself will require desktop syncing through iTunes to pull the backups HTC’s Sync manager will need, so iCloud users will be unable to undertake in this venture without saving at least one backup to iTunes. It’s especially compelling to move text messages, which cannot easily be copied from the iPhone to the computer or another smartphone without some trickery that most iOS users wouldn’t discover. It’s not especially difficult to move calendar entries, contacts, photos and more from phone to phone, but the option to do it all in one shot for HTC customers is a bonus. It remains to be seen if iPhone owners will move over to the HTC One en mass, but the opportunity to transfer some of your data is definitely worth taking into consideration. There’s already iTunes, my contact backup, and accessing the phone directly in computer. But I guess this is easier and faster. Hello David, Its been a while since the descussion of rolling out tmobile LTE..any news within? I thought they were gonna roll out in early year? And lastly any news from iphone released yet? 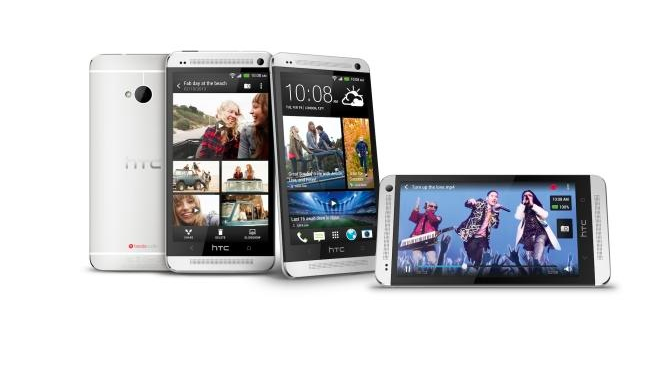 Definitely going to get and so htc one! cant wait! Ohhh and congratz with your little one! Welcome to the club David! Thanks! A totally fair question, that I absolutely cannot answer! I have no idea what happened and the fact that they have been completely silent about it disconcerting. It’s not like it was something I leaked and it wasn’t something the company announced. They did announced it though, with much fanfare and its pretty weird they’ve been silent. Thank you for the info sir! You’ll get LTE in March depending in your state. Come on, T-Mobile gave us many hints. They advertised that they’ll be the first to sell The Blackberry Z10 with LTE on board. It’s not LTE ready but it says LTE on board. Check David’s recent posts. Plus the HTC One is coming out on T-Mobile on March 14 which might have LTE on board or LTE ready. Revamped Samsung Galaxy S III is coming out on March 21 with LTE on board as well. Just use the recent posts and scan the dates carefully and voilÃ , you know LTE is just around the corner. Good that will make the transfer easy. Good questions. Yes. So your decision is a no-brainer. I sort of don’t mind bulkyness. Too many factory sealed phones coming out nowadays. I miss the removable back door and battery phones. Great phone HTC, just one problem. If you want this to be a hit, I should already be turning on my TV and seeing commercials for this, get people hyped. 99% of people don’t even know this exist.